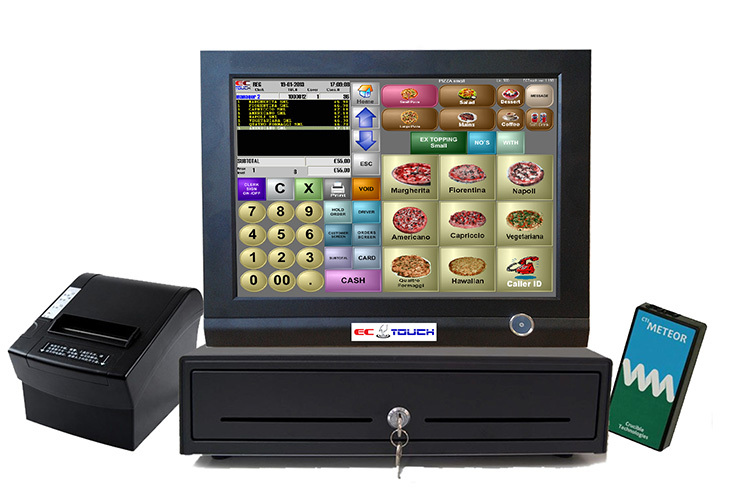 ECTouch EPOS System, with a rich set of customisable functions and yet very easy to use and learn is designed to manage your fast food and delivery business easily and effectively. 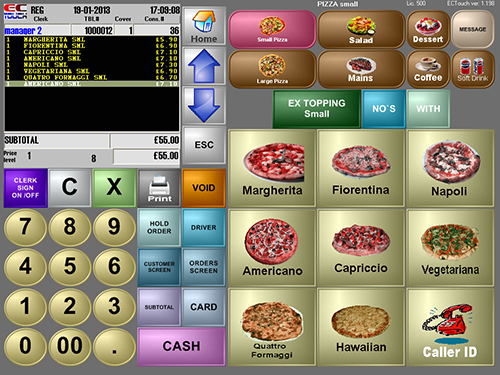 What will ECTouch EPOS system look like on my till? So how will it help me make my business tick over? Assign A Named Driver To Every Order! 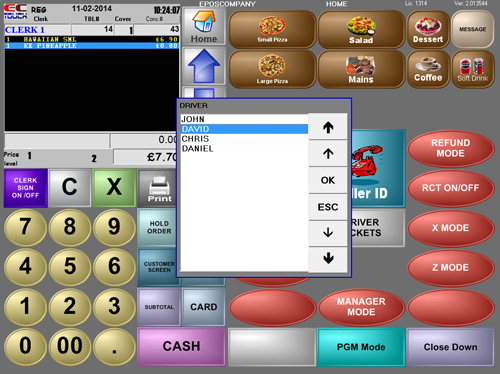 ECTouch EPOS system for fast food & delivery prints out the order on the bill printer as well as the kitchen order with the customer name and address. Open orders for delivery can quickly be accessed by scanning the barcode on the bill. Following this, orders can then be assigned to any driver at any time. 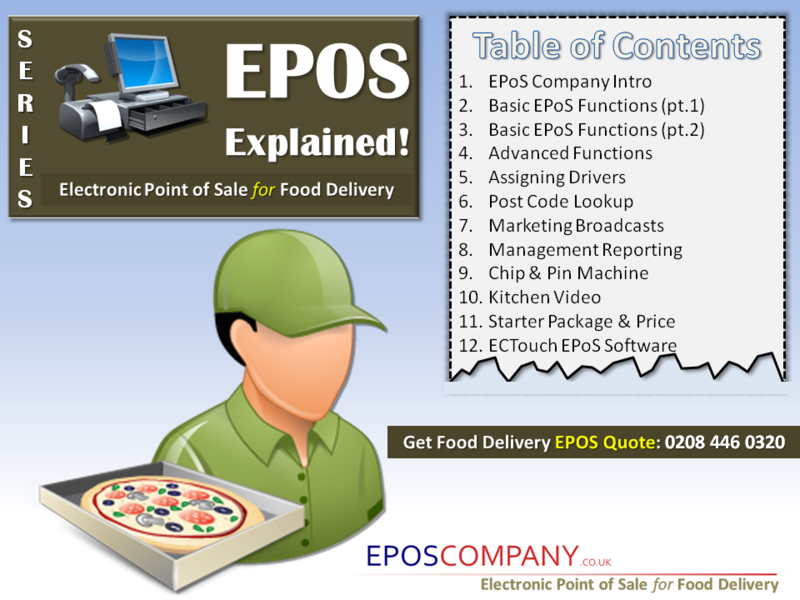 How will ECTouch EPOS system help me build my food delivery business?